PDJ's resident ripper and owner Matt says he doesn't ride as much as he should, but his Evil Wreckoning says otherwise. These pictures were taken before its... annual?... semi-annual?... first-ever?... Well, these pictures were taken before it got cleaned up and tweaked up. Wagon wheels are really the only option in 2018. On the back of Evil's geometry revolution, 29ers have been fully legitimized and are the funnest source of fun on a mountain bike. 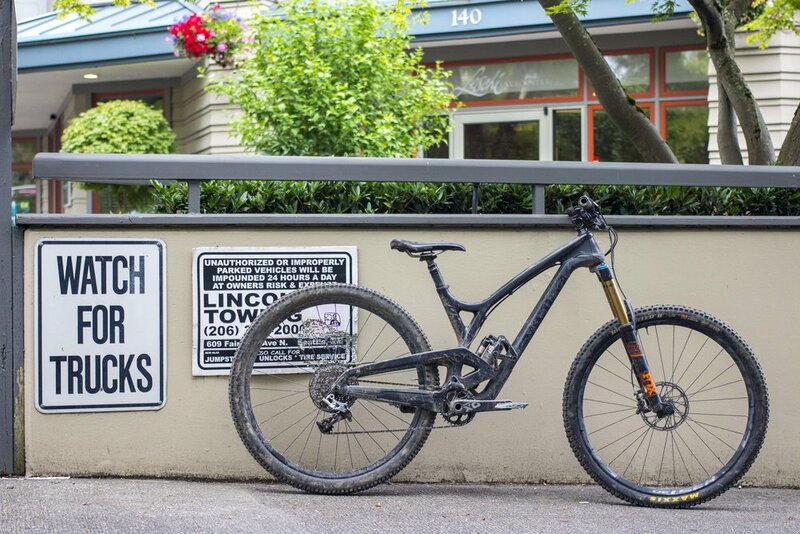 This bike is short where it matters and big where it counts. Rear end tucked under the saddle, and a 35mm stem. 800mm bars, and a 35mm clamp. The Wrecker is the mistake eraser. This thing is covered in dirt from Tokul, Tiger, and 27, where it was developed and where it shines.